Are you a "hands-on" auto enthusiast? Then you'll truly enjoy getting your mitts dirty applying Zymol Titanium Estate Glaze. This carnauba wax, developed especially for SUV's, is highly resistant to all salt acids, plant sap and proteins. In fact, this glaze is the most plant-acid-resistant product Zymol manufactures. 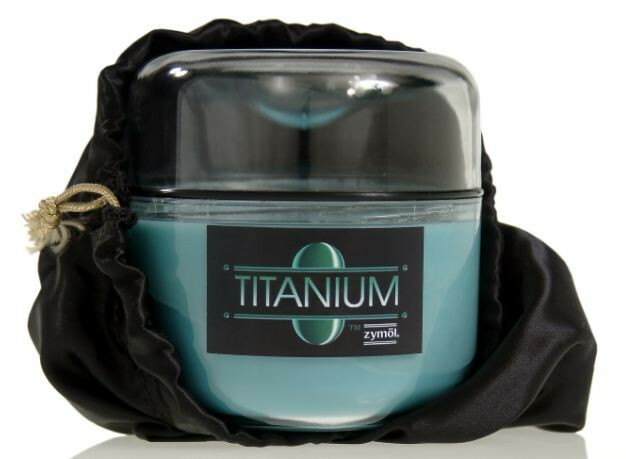 With Titanium, you can give your vehicle the protection it needs.